Didn’t have the best sleep last night: my bed was actually a lumpy daybed, but also there was a metal rattle overhead, I think caused by the wind. We did sleep in some this morning, as it was cold and, due to our location in the hills, it took a while for the sun to appear. 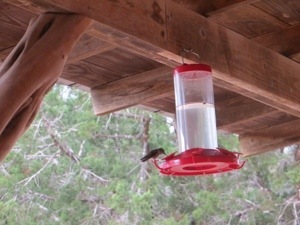 Before starting off, I took this photo of one of the hummingbirds stopping by the feeder on the front porch of the office. 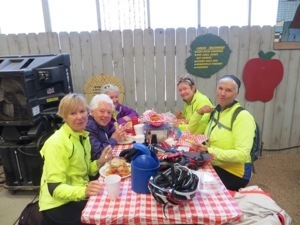 We backtracked to Ranch Road 337, then turned onto to State Road 16. 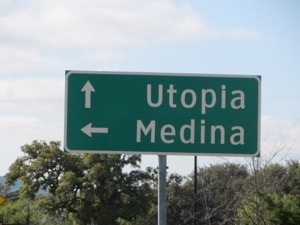 I wasn’t sure if we were doomed for the day, as we didn’t continue to Utopia. 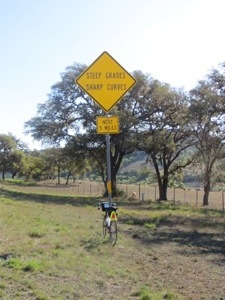 Maybe the hills that lay ahead were our punishment… Steep and winding. This one lasted 1.3 miles. With the sun shining, the beauty of the trees and hills was so much more vibrant, though the air was cool, and winds in our face. 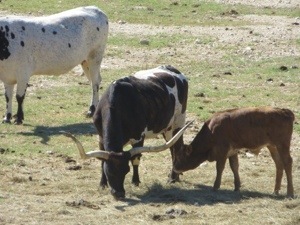 Check out the horns on these cattle outside Medina. 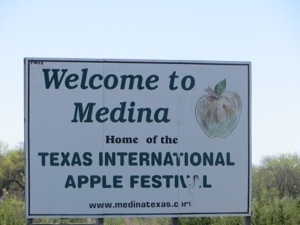 Linda recommended a stop at The Apple Store in Medina. Enjoy these photos. 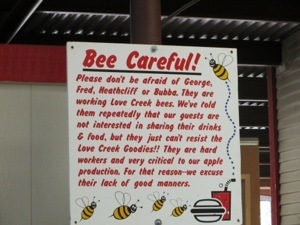 I was intrigued by this store and stopped as I was leaving town. 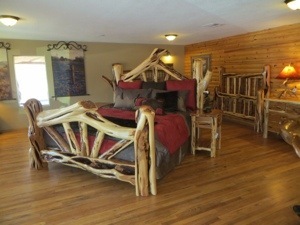 These beds are handcrafted from wood found in the Hill Country. We had been warned that there were big motorcycle activities in the area through this weekend, and noticed a lot of choppers passing us on the road. 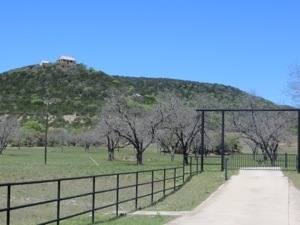 Check out this campsite area. 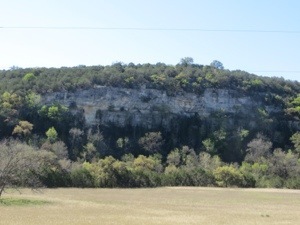 Two more big climbs. I visited Granny a lot today, also did some walking as my legs are ready for a day of rest. 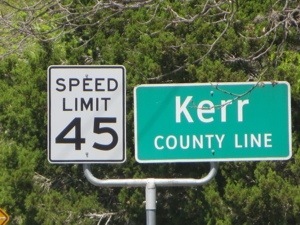 You can tell Kerr County has more money by the road surface – and by the fancy ranches. 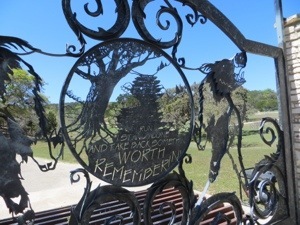 I especially liked this gate, which reads: Before the breathin’ air is gone, Before the sun is just a bright spot in the night time, Out where the rivers like to run, I stand alone and take back somethin’ worth rememberin’. 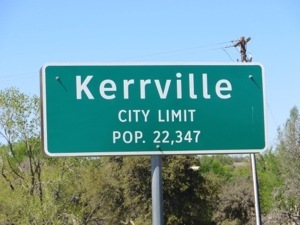 Managed to enter Kerrville close to 4 pm as traffic was picking up, and stiff winds were still in my face. 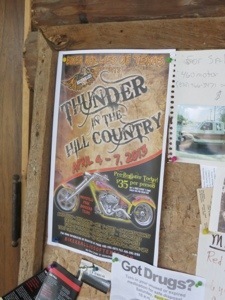 We are staying at the YO Resort; dinner tonight was at the Branding Iron Restaurant in the hotel. Son Tim arrived from Indianapolis, by way of Houston, just in time for dinner. Looking forward to a day of rest tomorrow, including haircut, massage and chiropractor. 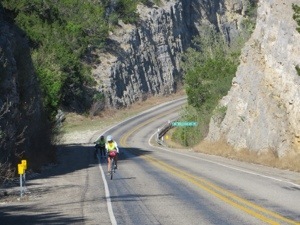 Your description of the ride from Vanderpool to Kerrville shook loose all sorts of memories from 2007. 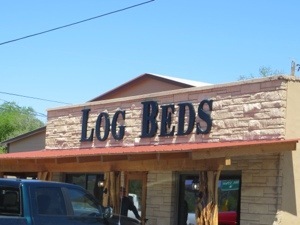 I, too, had a lumpy bed but also had a bit of a stomach bug which had kept me off the bike for the ride to Vanderpool (wasn’t there a hellacious hill that day?). 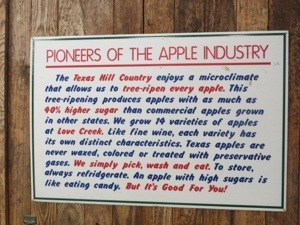 Back on the road I was a bit shaky but ate an apple something at the aptly-named Apple Store and was energized the rest of the way to Kerrville. 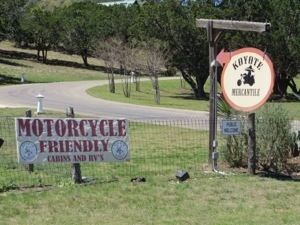 Good bike shop, bookstore and restaurants in Kerrville as I recall. Enjoy!